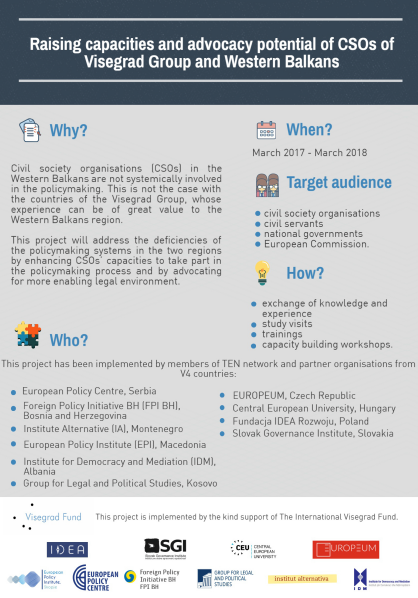 Policymaking in the Western Balkans (WB) is characterised by weak and unsystematic involvement of the civil society organisations (CSOs). 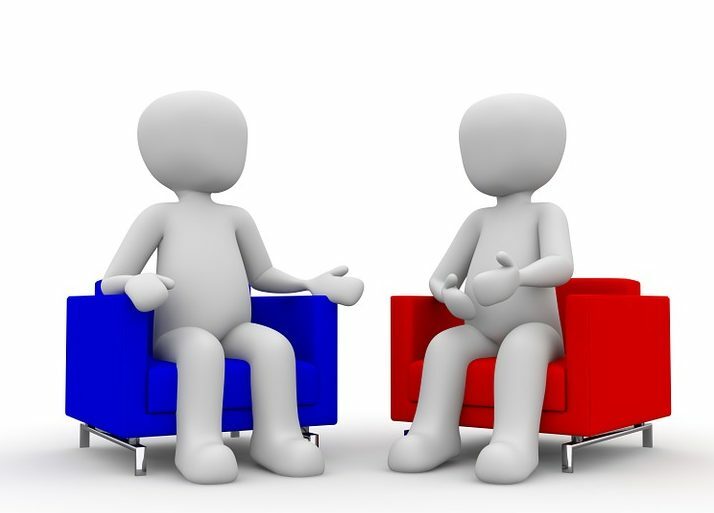 On the other side, Visegrad Group (V4) countries have more advanced policymaking systems which ensure CSOs involvement, while CSOs themselves have greater capacities and experience in that respect. However, sustainable and effective CSO participation in the policymaking based on evidence is a long­term challenge and objective for both regions. This project addressed the deficiencies of policymaking systems by enhancing CSOs capacities from the WB to take more active part in the policymaking and advocate for a more enabling legal environment for the CSOs through learning from the experiences of the V4 countries. Through the exchange of knowledge and experience within the V4 region and together with the WB partners through a consortium of 10 partners, capacities and advocacy potential of the organisations of both regions have been raised. The knowledge gained has been shared with 180 CSO representatives in the WB countries. 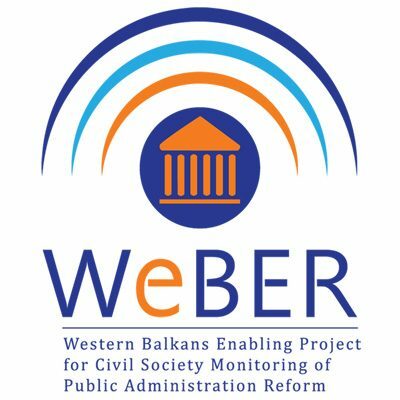 The involvement of the civil servants in the project from relevant policymaking institutions in WB6 increased their ownership and accountability. A two-day regional training CSO Participation in the Policymaking: Experiences from Poland and Hungary was held in Budva, Montenegro, on May 2017. The training, which was organised by CEP, gathered member organisations of the TEN network, partners from Poland and Hungary, as well as a representative of Regional School of Public Administration – ReSPA . Participants had the opportunity to gain knowledge and insights into the features of Poland’s and Hungary’s policymaking systems, practical considerations and experiences of CSO involvement in the policymaking, as well as other good practices regarding the participation of civil society in these countries. Read more here. CEP representative, together with representatives of each of the TEN member organisations and civil servants from each of the Western Balkan countries, participated in a study tour to Bratislava (Slovak Republic) and Prague (Czech Republic) on June 2017. Read more here. Final conference of this project was held in Belgrade on January 30. Read more about this event here. More about project results, including the publications that have been produced within it, can be found here. This project is realised with the kind support of the International Visegrad Fund.